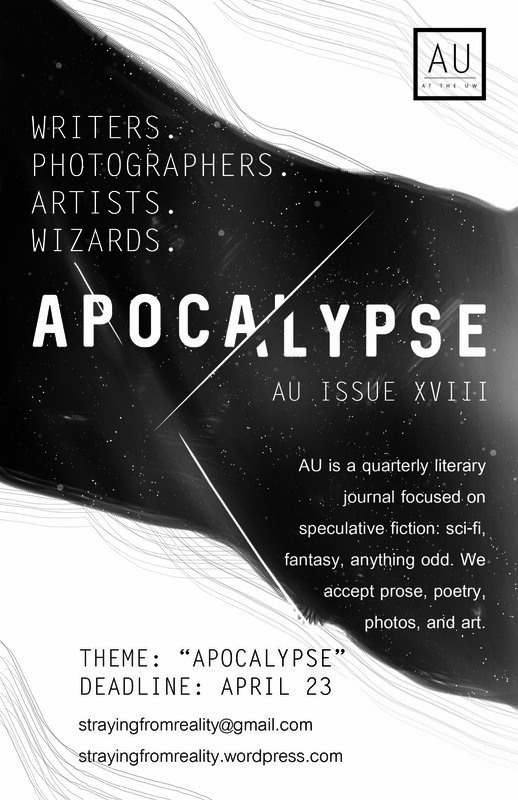 AU is a literary journal at the University of Washington dedicated to speculative fiction, for which I am the sole graphic/visual design editor. AU was recently revived in the autumn of 2016, after being inactive for a year. 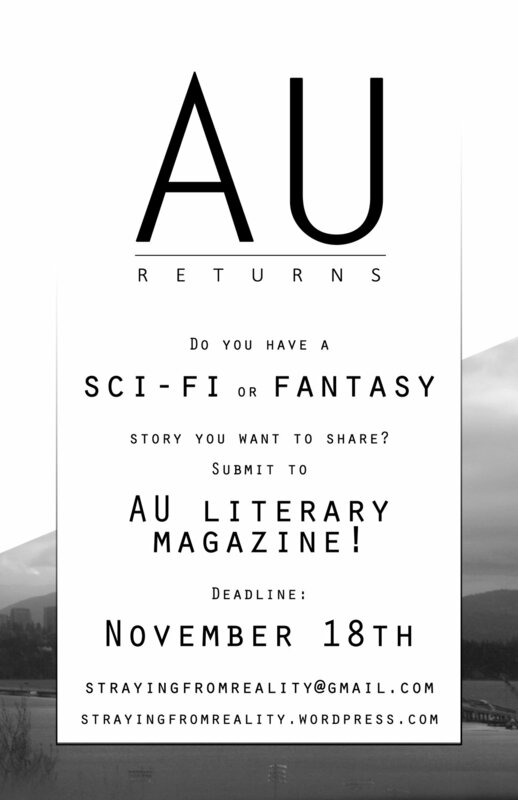 With the revival of the journal came the need for a remaking of AU's image. My goal as the graphic design editor for AU was to build a more modern, recognizable, and consistent brand. In the end I made a logo for the newest journal edition (titled "Returns"), updated the look of their blog site, and crafted the look of all print materials, including promotional flyers and the actual magazine itself. Currently, I continue to design all print and digital materials, which includes designing the layout of the entire magazine each quarter, and maintain the visual/structural aspects of the website. In addition, I also review submissions for the magazine, both written and visual. Once I got involved with AU, one of the first things I realized was that AU suffered from a lack of brand consistency/identity. Other clubs on campus had recognizable logos and styles, while AU did not. It followed, then, that one of the first things I would need to do was come up with a "look" for AU: and that meant a new logo. For AU, I wanted to create a simple, clean logo that was flexible enough for multiple applications. It was important that the logo be recognizable, especially since each edition of AU would be fairly different from previous editions. 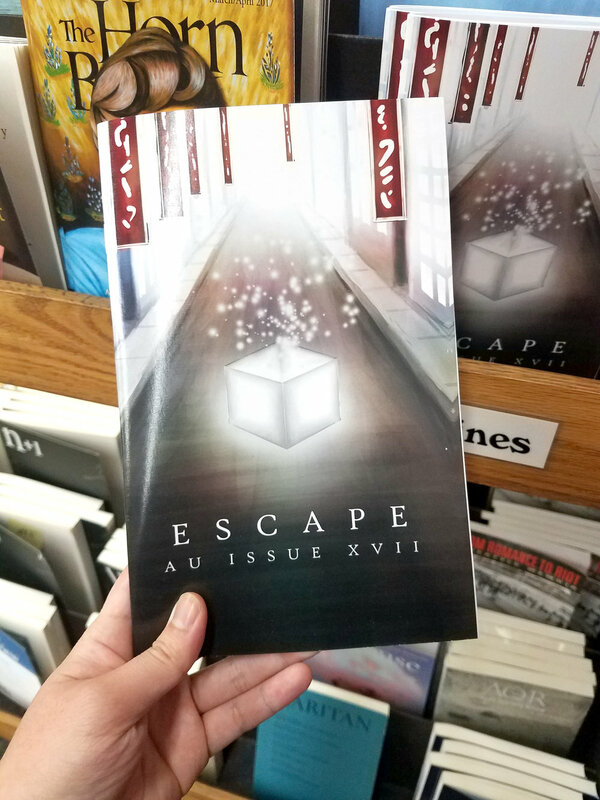 The AU literary journal relies heavily on submissions for cover art/photography, so each cover differs from edition to edition. Having a consistent logo would allow people to identify our magazines more easily. The main AU logo, version 1. 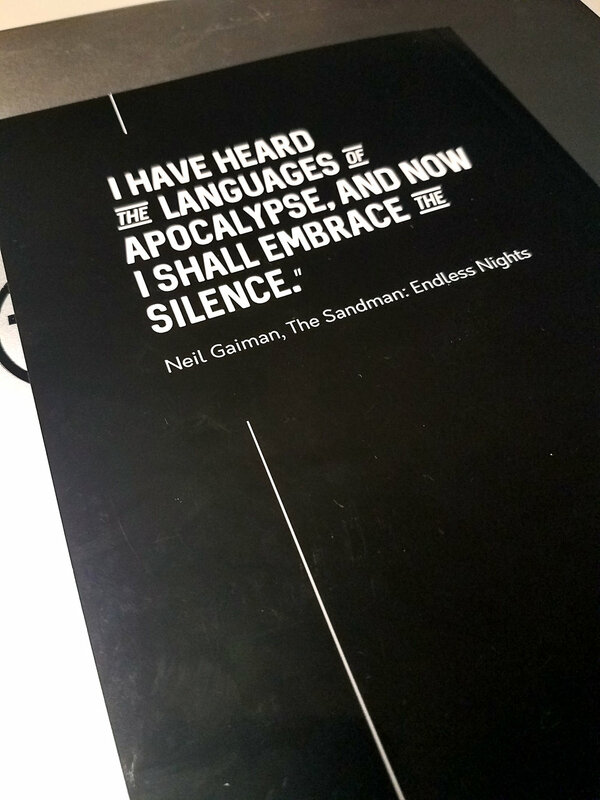 The text "Returns" could be replaced with other content, such as other edition titles, or more generically, "At the UW," as it appears now. The simplicity of the logo is also beneficial for the same purpose. With an ever-changing cover, an adaptable logo was needed to maintain this consistency. I drew inspiration from different logos, including old favorites like National Geographic. The logo was also made to be more modern, and hopefully more competitive with other magazines sitting next to AU on the shelf. Above are examples of the logo in action. The first two logos are set against a comet background I made for the website. The last two logos are set against arbitrary photos as examples of how the logo could be applied. After the first issue, the logo was changed to say "at the UW" instead of the specific "Returns." Currently we use a "solid" version (in either black or white with a transparent background) or a color version, seen below. The color version's background image is also featured on the website. This website also needed improvements when I first became a part of AU. It had to be updated in order to be more visually appealing, but also had to be easy to maintain, especially since the website would eventually be passed on to someone else. 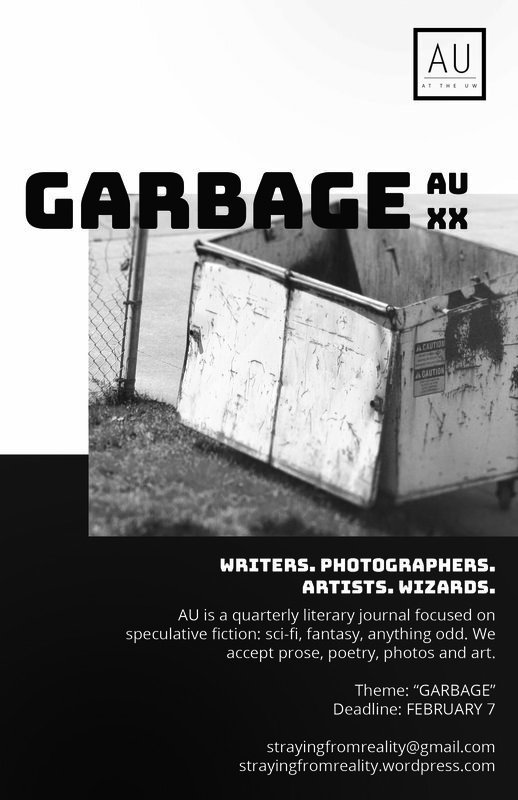 AU had opted to keep a free blog with few frills, but there were still improvements that could be made, such as including the new logo, tidying up the website's layout to be more navigable, and creating a new background image, as seen below. Titled Comet, this image became the main image on the front page of the website. I digitally painted the image using Photoshop and a Wacom drawing tablet. Flyers are distributed each quarter in order to advertise the AU journal, to advertise each new issue of AU. Flyers are usually half-page, in grayscale, and vary in style from quarter to quarter. The design is influenced by that quarter's theme, which usually decided by votes from our readers. For the very first set of flyers, I was asked to make two versions: a light and a dark version, in order to curb printing costs. These flyers continued the sharp, more modern look that I wanted to use for the magazine. These are the final flyers below. 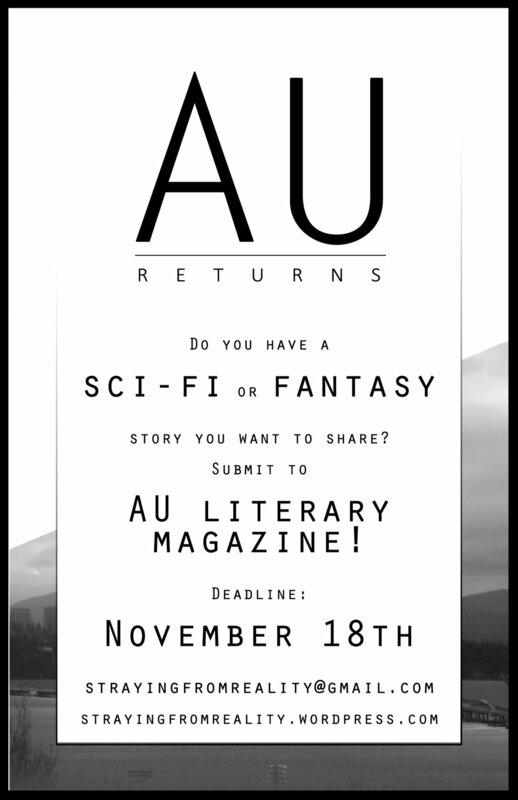 Since then, I've created new flyers every quarter for AU. Click the thumbnails below for more information. AU publishes once each quarter, except for summer. 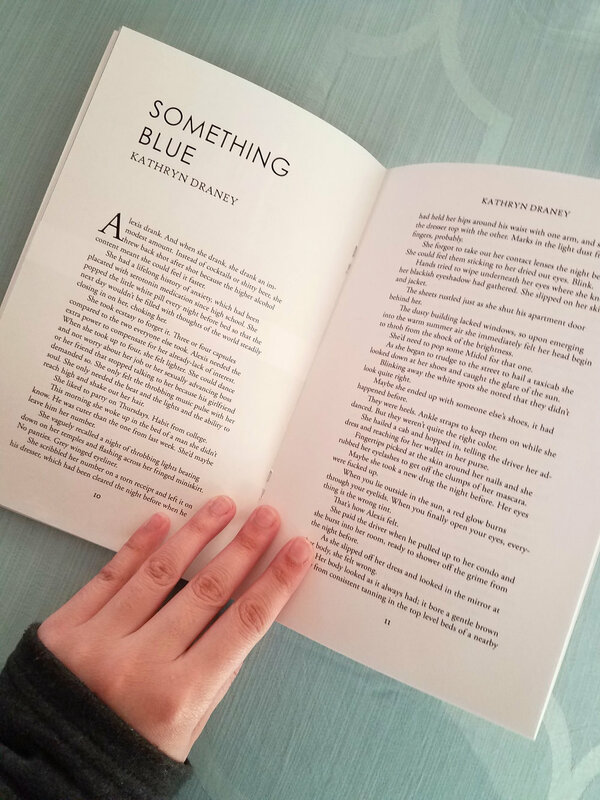 For each magazine, I am responsible for cover layout, page layout, font scheme, and occasionally cover art if there are no suitable submissions. I also help select which submissions are included in the journal, for poetry, prose, and, of course, art and photography. 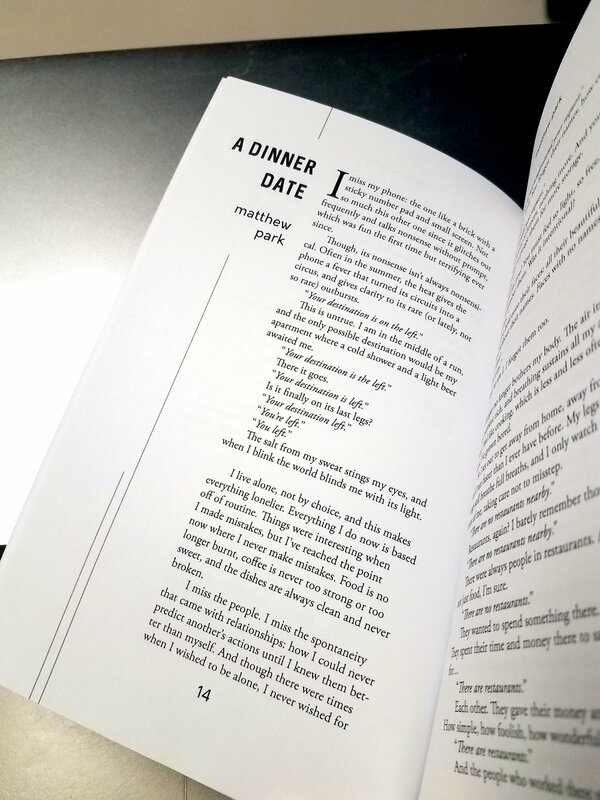 Each issue is assembled by me using Adobe InDesign, though issue titles are made in Photoshop. The first issue I was involved in was Issue XVI: Returns. 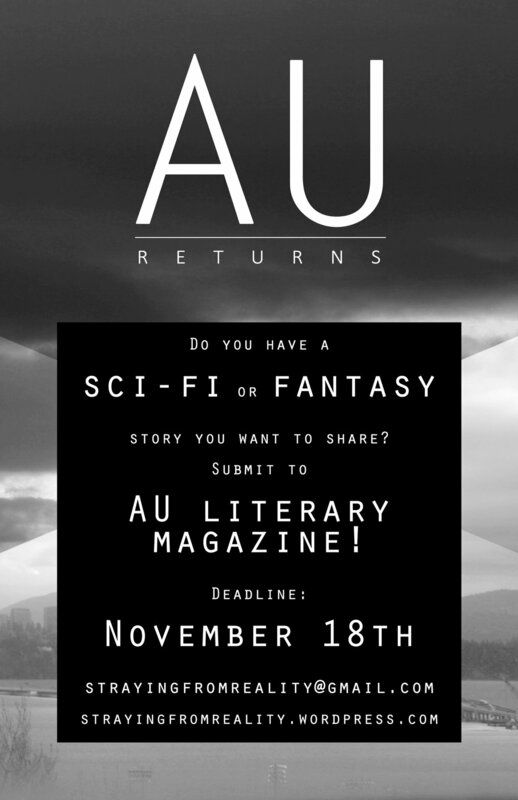 AU Issue XVI: Returns was published in early December of 2016. 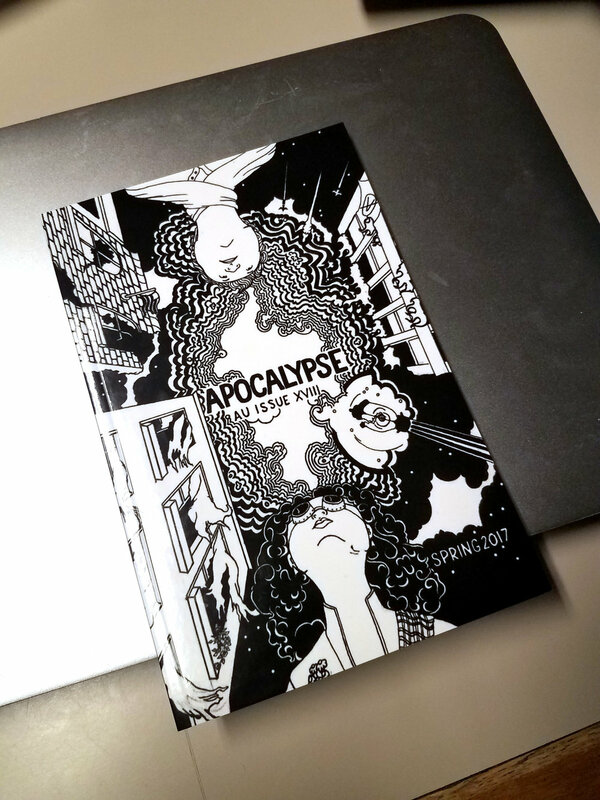 I designed the layout of the entire booklet from cover-to-cover with a modern, clean design. I have a particular love of typography, so this was arguably one of my favorite things to design. The cover photograph was requested and provided by a fellow editor. 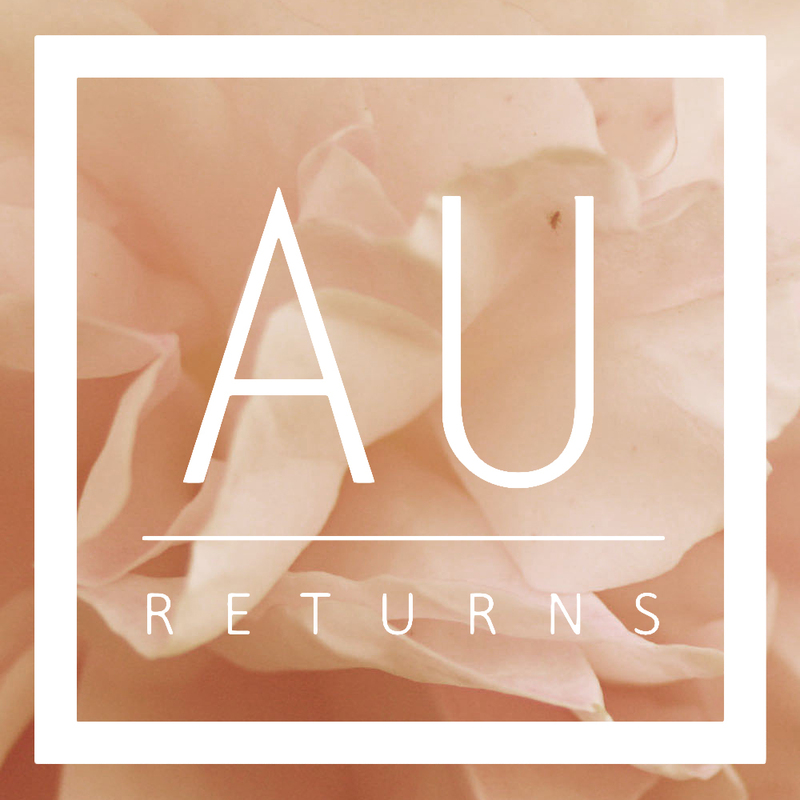 The cover of AU Issue XVI: Returns. 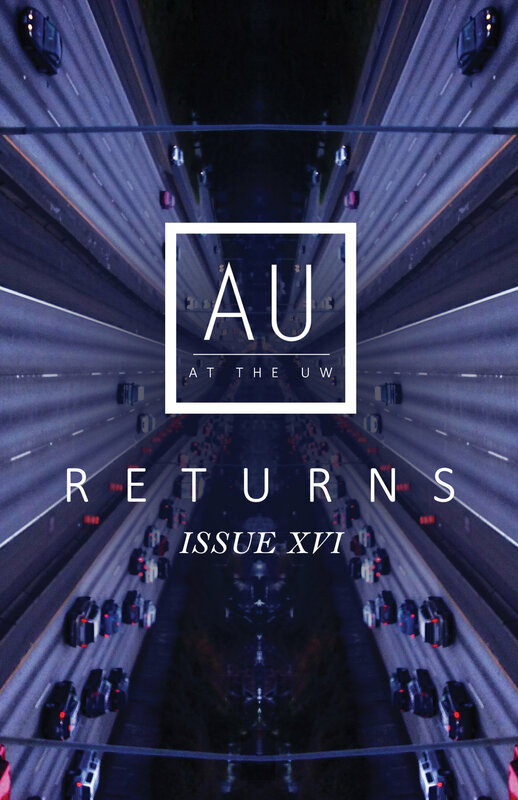 A look inside the AU Issue XVI: Returns. Since then, I have been responsible for the everything in the magazine besides the actual content. Click the thumbnails below for more information.